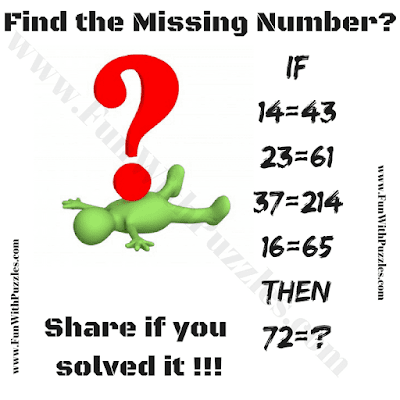 Time to test your logical reasoning and Math skills. In this Logic Math Problem, there are few logical equation. These equations are not correct Mathematically but these equations are correct logically. Your challenge is to find logical reasoning in these equations and then solve the last equation. Can you solve it as quickly as possible? Answer of this Logic Math Problem, can be viewed by clicking on button. Please do give your best try before looking at the answer. The Answer is 149. Multiply number on left to get first few digits on the right side of equation and then add digits on left to get last digit on the right hand side of equation.